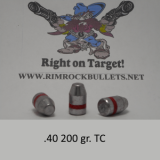 10mm 220 gr. 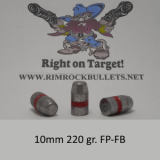 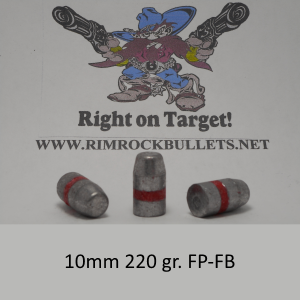 FP (BHN 22) Nice heavy weight bullet for the 10mm. 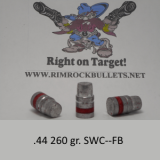 This is a custom bullet used by Buffalo Bore Ammo Co. 6 boxes will fit in a USPS flat rate box. 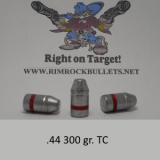 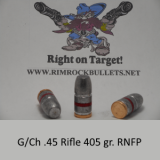 Sized to .400 to reduce case bulge, with the same great accuracy.